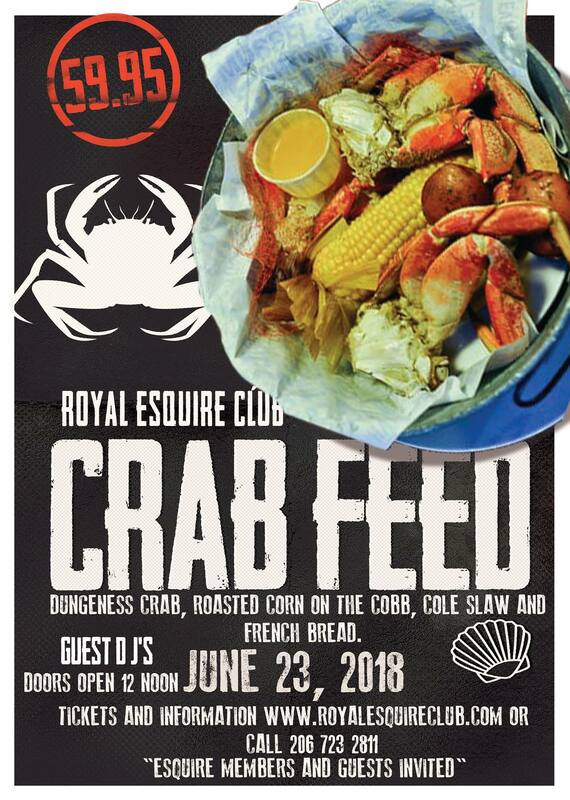 The Royal Esquire Club is proud to bring you our first annual Crab Feed. We have noticed that yearly crab feeds are out of town. We are going to addres this by having our own CRAB FEED right here in the heart of Columbia City at The Royal Esquire. Your meal will consist of Sweet Dungeness crab, red potatoes, sweet roasted corn on the cob, cole slaw and french bread. Last year we had a fish fry that was sold out, this year we have stepped up and given the people what they asked for. This will be a fun exciting event that will require both the inside and outside of the Royal Esquire Club. Bring your competitive attitudes when you come becasue there will be spades, domino and Bid Whist tournaments you can enter. 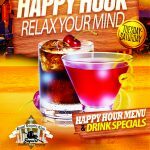 There will be guest DJs, music videos and delicious refreshing beverages. You know that crab feeds sellout quickly, this one will be super quick because it in town, the music is going to be great, board and card game will have the atomosphere charged with excitement. Get your tickets now.